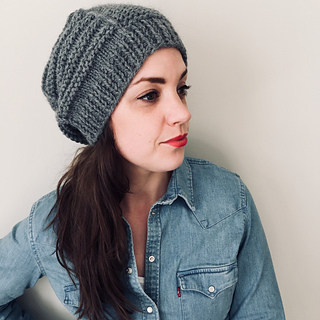 At first glance, Digger is a basic garter stitch hat with a contrasting texture panel, but don’t be fooled; this piece contains a few clever details that make it special. 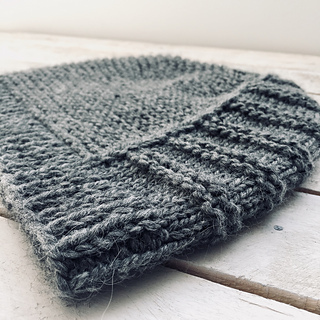 Instead of plain 1x1 rib, the brim is worked in a tidier Slipped Stitch Rib pattern. 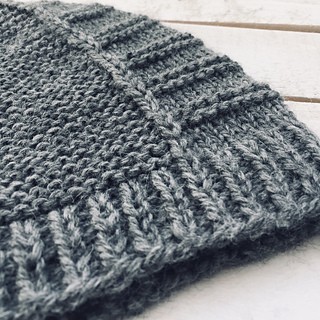 Two slipped stitch columns flow from the ribbing to border the texture panel, eliminating the jog that usually occurs when knitting garter stitch in the round. 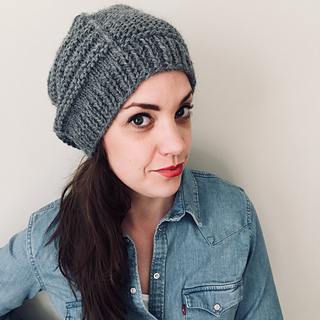 Digger is a versatile pattern and can be knit with a small amount of negative ease (1.5 - 2.5 cm/0.5 - 1”) to be worn as a fitted toque, or with more ease (2.5 - 5 cm/1 - 2”) to be worn slouchy as modeled. 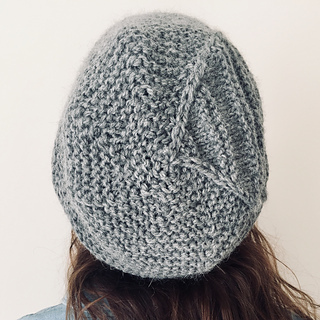 Shown in size L with 1.5 cm/0.5” negative ease for a slouchy fit. For a snugger fit, choose a size with more negative ease. 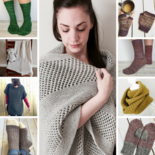 *Shown in Estelle Yarns Alpaca Merino Chunky (60% Superfine Alpaca, 40% Merino Wool; 125 m/137 yd per 100 g/3.53 oz skein) in colour Mid Grey Heather (225); 1 [1, 2] skein(s). Texture pattern is written only (no charts).